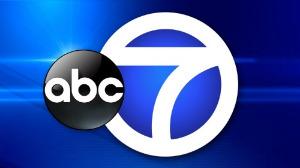 Featured on abc7 Five O'Clock News! "BUSINESS BLOSSOMING FOR NEW YORK CITY'S FIRST FLORIST ON WHEELS"
Zoomin Rides along in the Flower Truck! with this inside look into the ins and outs of everything Uprooted! Contact Kristin heckler at kristin@uprootednyc.com with press inquiries.